Having been born and raised in Bermuda, Fall for me is that time from mid-October (when the weather finally drops below the ’80s) until the day after Thanksgiving. We celebrate American Thanksgiving for some reason, and because of that, I was a bit confused as to why, when I moved to Canada over four years ago, people were breaking out the turkey and stuffing a month and a half early. 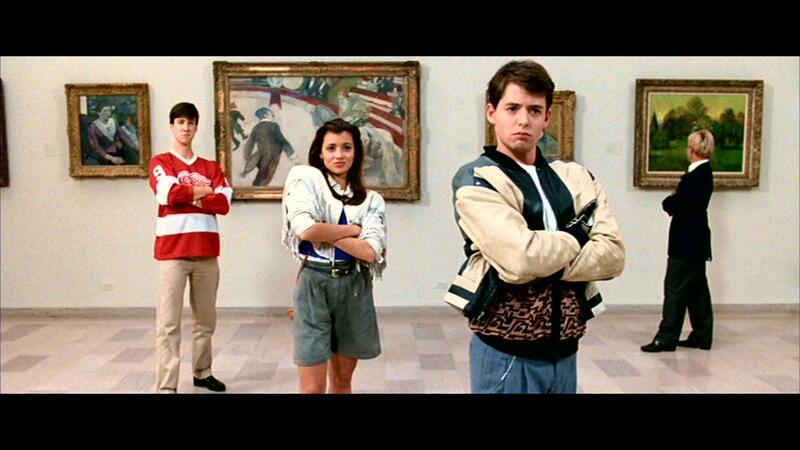 “Bueller… Bueller… Bueller.” I love this movie. Set in Chicago during the Fall, Ferris is determined to have a day on the town, when he should be sitting in class. Hilarity follows when his reluctant friend, Cameron Frye, joins him along with love interest Sloane Peterson. It’s a movie that makes you want to sit at home all day, preferably during a boring, long, seven-eight hour day at high school. Put that hot water bottle on your head, make that thermometer do the magic it was made to do and rock out to some 80s magic with Ferris Bueller’s Day Off this November! Do you even have to wonder why this is on the list? Charlie Brown is one of the most iconic cartoon characters to ever grace television, and, while not saying much, his story, along with Snoopy and Woodstock, Linus, and of course Peppermint Patty, brings the feast of Thanksgiving alive. You want an extra turkey-day like I’m planning on having? Then enjoy this movie while you’re waiting for your bird to cook and soak up those last minute Fall feels because it’s about to come to an end. I recently re-watched numbers 5-7 (parts one and two), and I rekindled my love for the series. 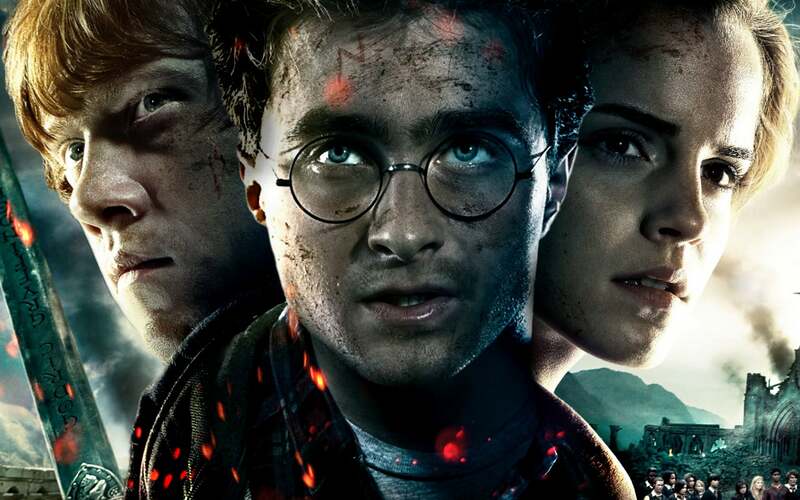 It’s a perfect movie, no matter which one you decide to watch, about the transitioning period in between Fall and Christmas… and, of course, all the wizarding stuff too I guess. I recommend numbers two and five, but I’d understand if you wanted to bypass the whole Professor Umbridge situation and just move on to number six. The original, let’s not mess around here. Bruce Willis is Detective John McClane, and, like Harry Potter, it’s not a movie that’s distinctly Christmas, so you don’t have to worry about breaking out your decorations while watching this classic action movie. I mean you can… I probably will, but the option is still there. By the end of the movie you might just be drinking your third eggnog and singing ‘Yippee ki-yay mother******’ to the tune of ‘Jingle Bells’; who knows? A Tim Burton classic, this film is all about the odd relationship between Halloween and Christmas – in other words, a perfect movie for a mid-November treat to shift the balance between getting all of your pumpkin-filled fun out of the way to decking your halls with boughs of holly! Enjoy. I was actually introduced to this movie about a year ago and, truthfully, I was skeptical that it would just be another ‘rom-com’ with the same plot/dialogue/etc.. that I had seen time and time again. Wrong! It’s one of those movies that explores the lives of multiple character plots and pulls them all together in the end for one big Yule Tide festival in an airport. Magical. put this movie on when Fall is over for you; when Michael Bublé’s Christmas album is the only music you want to be listening to, and Alan Rickman doesn’t look quite as much like Professor Snape in your head anymore from all the Harry Potter you’ve been watching. Another feel good movie about two women who trade homes for the Christmas holidays only to find that their true happiness has been right in front of them all along. Touching, and a movie that actually has me praising Jack Black for his atypical performance! Journey from London to California and get the best out of Christmas by experiencing it covered in the white fluffy stuff AND palm trees and a cool summer-esque breeze. We put ourselves into the Christmas season mood with Love, Actually, but now is the time when the nostalgia can rear its beautiful head with a Christmas classic in Home Alone. I first saw this movie probably when I was about five years old, and it’s remained one of my all time favorite movies to put on during the holiday season. Will Ferrell’s best movie in my opinion; he’s the elf who, quite literally, doesn’t fit in at the North Pole. So where do you go when you don’t fit in? New York City, apparently! Apart from the North Pole, New York seems like the second Christmassy place in the world to be during December. The big tree in Rockefeller Centre, Central Park is getting a nice layer of snow, and of course, if you stick around long enough, you might get to see a big ball drop in the middle of Times Square to bring in the New Year. Best city to be in for the holiday season = best place to set a holiday-themed movie. He’s just misunderstood, right? Jim Carrey as the Grinch is one of my favorite holiday characters, and he brings to life the story of how he *almost* stole Christmas from the people of Whoville, who seriously cannot get enough of this holiday. But, then, who can? Don’t watch The Grinch just yet; we’re not quite there. Wait until you can see a little snow on the ground when you wake up in the morning; then, you’ll be able to appreciate this masterpiece a whole lot better! I am a 22 year old writing enthusiast from Bermuda, currently living in Montreal and pursuing a masters in journalism. I enjoy writing sports columns, particularly football, and I am an avid supporter of Chelsea Football Club! Share the post "10 Movies to Get You Through the End of Fall and into the Christmas Spirit"